At Lone Star Automotive in Midland, TX our fleet service program keeps your business fully operational, by providing expert repairs and maintenance. We’re the perfect choice for any company or organization that needs dependable fleet services to keep their automobiles on the road! Your business needs technicians that are dedicated to maintaining your vehicles for you. 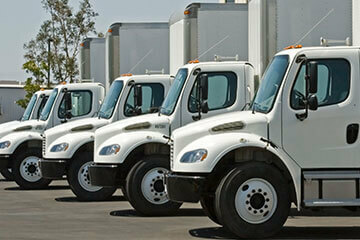 While you handle your business operations, we want to handle your fleet services. This is one thing we’re sure you’d love for someone to take off your plate. We’re proud to be Midland’s fleet service and repair shop of choice, and are dedicated to making your experience with us fast and convenient. Consistent maintenance schedules and complete repairs take away all worries about your fleet’s condition or its services. Our ASE Blue Seal Certified mechanics are experts in servicing, repairing and maintaining auto and truck fleets. The key to the optimal performance of your fleet is the right kind of attention. That’s what we prove at Lone Star Automotive in Midland, TX. Our goal is to prevent any costly repairs that might affect your bottom line, steal any time away from the road. We have the latest technology and diagnostic equipment to handle all of your company’s fleet service needs. We want you to continue offering your customers the great service they’ve come to expect! We provide fast and accurate estimates on your fleet repair services in Midland, TX, and we notify you of any car repairs before performing them. At Lone Star Automotive, we are committed to maintaining all of your auto fleet vehicles with the precision and friendly customer care that you deserve. To make your experience with us even easier, we also accept fleet cards from Wright Express, Donlen, Element Fleet Management, GE Capital, and Automotive Resources International (ARI). Contact us today to learn more about our great fleet services.